High resolution satellite images have many applications in mining, oil & gas, defence and intelligence, meteorology, oceanography, fishing, agriculture, biodiversity conservation, forestry, landscape, geology, cartography, regional planning, education, intelligence and warfare. Images can be in visible colours and in other spectra. There are also elevation maps, usually made by radar images. Interpretation and analysis of satellite imagery is conducted using specialized remote sensing applications. 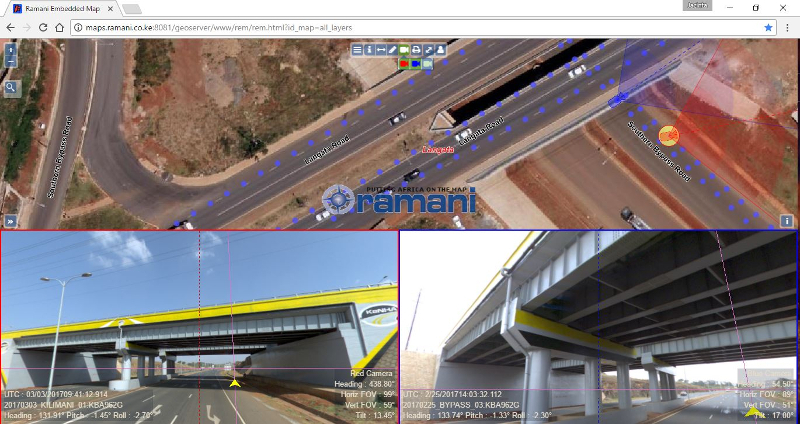 Ramani is an official distributor of DigitalGlobe satellite imagery and project based resellers of Airbus Defence and Space. DigitalGlobe, high resolution satellite imagery provider owns a large archive of satellite imagery which is now be available from one portal. Airbus Defence and Space is the provider of SPOT satellite imagery. SPOT products provide global, multidate, current geospatial information at local to nationwide scales. With an imaging swath of 60 km and resolutions from 20 m to 1.5 m, SPOT products provide an ideal basemap at local and regional scales from 1:100 000 to 1:15 000.